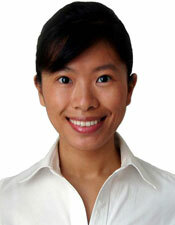 Mimi trained as a pediatric neuro-oncologist in Melbourne, Australia, before pursuing a PhD in cancer biology. 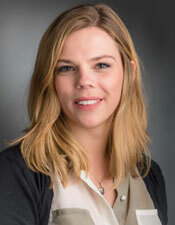 She moved to Boston to complete a further sub-specialty in pediatric neuro-oncology at Dana-Farber/Boston Children’s Cancer and Blood Disorders Center before joining the Beroukhim Lab in 2012. Under Rameen’s mentorship, Mimi has studied genomic and epigenomic drivers of pediatric brain tumors and mechanisms of resistance to cancer therapeutics. Mimi started her own laboratory at DFCI in the fall of 2017. Fun fact: Mimi’s favorite travel experiences include backpacking through Europe, snorkeling with wild pods of dolphins in New Zealand, hiking through gorges in Central Australia, star gazing in Uluru, horse-riding through tropical rainstorms in Daintree rainforest, and chasing the Northern Lights in Iceland. Brenton received his PhD from Dartmouth Medical School in the laboratory of Dr. Mark Israel. His graduate work focused on understanding alterations in neuro-developmental pathways that contribute to brain tumorigenesis. In the Beroukhim Lab, he identified novel cancer vulnerabilities that result from copy-number alterations and elucidated tumor cell populations by single cell RNA-sequencing. Brent is now a research scientist within the Cancer Program at the Broad Institute, where he is working with the Dependency Map project. Fun fact: Brenton was part of the first graduating class of the Dr. Seuss School of Medicine. Linda received her BA from Harvard University and her MD/PhD from Yale University. During her time in the Beroukhim Lab, she studied the genomic landscape of skull base tumors, including pituitary tumors and meningiomas. Linda started her own laboratory at BWH in July of 2018. PK completed his medical school training at Harvard and his residency in neurosurgery at Massachusetts General Hospital. 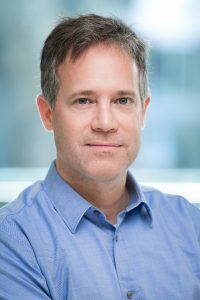 His research interests focus on functional genomics of skull base tumors, particularly schwannomas and NF2 tumor biology. 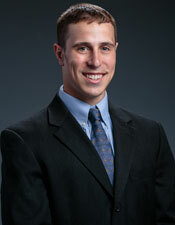 Presently, he is completing a fellowship in skull base and open vascular surgery. Fun fact: PK used to compete in bowling tournaments. 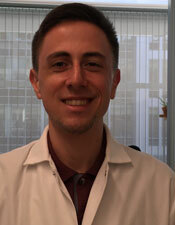 During his two years in the Beroukhim Lab, Peleg used whole-genome and whole-exome sequencing, array CGH, and Broad/TCGA algorithms to identify mutations and copy-number alterations responsible for driving development of skull base and neurologic tumors. He identified mutations in SMO and AKT1 in meningiomas and also collaborated with others on projects involving pediatric low-grade gliomas (identifying MYBL1 translocations), pituitary adenomas, schwannomas, and other tumor types. 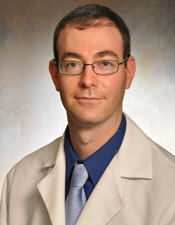 Peleg then completed his neurosurgical residency at Brigham and Women’s Hospital, followed by a one-year fellowship in skull base neurosurgical oncology at the University of Texas MD Anderson Cancer Center. Currently he is an assistant professor of neurosurgery at the University of Chicago, with a focus on neurosurgical oncology and skull base tumors. Frederik received his MS in genetics and his PhD from the University of Hamburg, Germany. 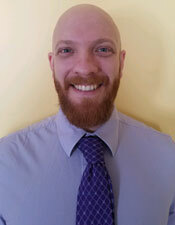 As a postdoc from the University of Bergen, Norway, he spent a year in the Beroukhim Lab as a visiting research fellow to work on understanding the effects of genetic alterations in endometrial cancers. Frederik is currently a research fellow in the Department of Obstetrics and Gynecology at the Medical University of Vienna, Austria. Maria worked in the Beroukhim Lab for one year as a visiting postdoctoral fellow on a Fullbright award, studying novel dependencies in endometrial cancers. She is now a practicing gynecologist in Bergen, Norway. 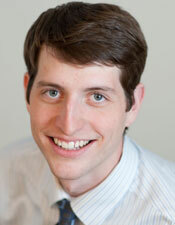 Jeremiah grew up in Waseca, Minn., and studied applied physics at Cornell. He joined the Harvard MD-PhD program in 2010 and initially worked on radiation treatment planning software with David Craft. 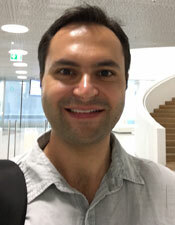 He joined the bioinformatics PhD program and Rameen Beroukhim’s lab in 2012, where he has worked on genome assembly, variant detection, and analysis of rearrangements in large collections of cancer genomes. 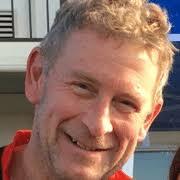 He is the primary developer of the rearrangement detection tool SvABA and the SeqLib C++ sequence analysis API, and has worked extensively with data from ICGC. He is now finishing the last two years of medical school at Harvard, and is looking forward to continuing to pursue both clinical and scientific training in residency and beyond. He lives in Lowell House in Harvard Square, where he serves as a resident advisor with his wife, Jess. Fun fact: Jeremiah recently found a live rattlesnake on a hike in the Blue Hills near Boston but did not stop long enough to make its acquaintance. Guillaume received his medical degree from Strasbourg University and performed residency in pediatrics and oncology in Reims and Paris. 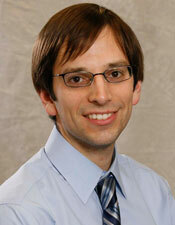 He joined the Beroukhim Lab in 2012 to study genomic features of pediatric low-grade gliomas. He was awarded his PhD from the Paris University in 2015. Guillaume worked as a pediatric oncologist at Strasbourg University hospital before joining Roche pharma in Basel in the pediatric oncology department. Fun fact: During his stay in the lab, Guillaume learned to appreciate Rameen’s jokes. William studied the genomic landscape of metastatic endometrial cancers and CYCLOPs genes as therapeutic targets in breast cancers as a graduate student in the Beroukhim Lab. He graduated from his MD-PhD studies in 2017 and is now a resident at Brigham and Women’s Hospital. Travis grew up in Hawaii and went to school at the University of California, Berkeley, double majoring in physics and integrative biology. He worked in Rameen’s lab as a graduate student in the biophysics program of Harvard University. 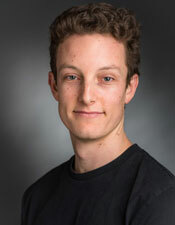 While a member of the Lab, his research focused on uncovering new cancer vulnerabilities predicted by copy-number alterations using computational genomics. Following the PhD, Travis enrolled in medical school at Harvard and MIT’s Health Sciences Technology program, and is now a resident at UCSF. Travis hopes to follow in the footsteps of Dr. Beroukhim as a successful oncology physician scientist. Jaeho primarily worked with clinical genomic data to identify genomic alterations that may help characterize various brain tumors for diagnostic, prognostic, and treatment purposes. He also focused on the genetic biomarkers for Avastin response in glioblastoma patients. He will be attending the Masters in Public Health program at Harvard School of Public Health in August 2017, prior to starting his fourth year as a medical student at Harvard Medical School. Galen received his BS in bioengineering from the California Institute of Technology. In the past, he worked on projects in synthetic biology and in image analysis of chromatin rearrangement in D. melanogaster development. While in the Beroukhim lab he studied pan-cancer patterns of DNA damage and immune response, and worked on biomarker prediction for novel therapeutic compounds. As of August 2018, he is a medical student at the University of Texas, Southwestern. Noah received his BA in biophysics from Harvard University. He focused on applying next-generation sequencing techniques to discover genetic drivers of brain tumors. 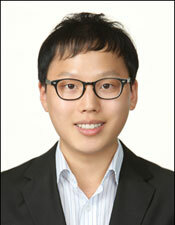 As of August 2017, he is pursuing a PhD at Stanford University in cancer biology. Tricia received her BA from Williams College, where she majored in biology and music. For her undergraduate thesis, she studied the effect of sublingual immunotherapy on lung tissue-resident T cells in allergic asthma. 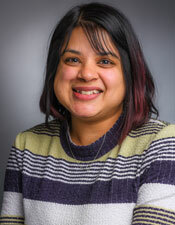 In the Beroukhim and Bandopadhayay Labs, she researched mechanisms of drug resistance in pediatric brain tumors. As of July 2018, she is an MD-PhD student at Columbia University Medical School. Ryan received a Bachelor of Science in animal science from the University of Vermont in 2014. In the Beroukhim and Bandopadhayay Labs, Ryan studied resistance mechanisms in pediatric brain tumors. 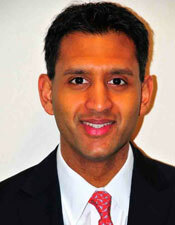 He is currently a research scientist at Elstar Therapeutics. Meredith received a BA in molecular biology and genetics from Skidmore College. In the Beroukhim Lab, she studied novel vulnerabilities associated with copy-number and allelic losses in cancer. As of August 2017, she has been pursuing a PhD at Dartmouth University. Steven received his BA from Hampshire College and MS from Brandeis University. 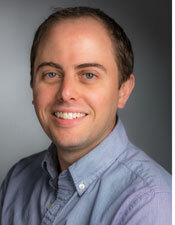 Within the Beroukhim Lab, Steven developed computational infrastructure to study large datasets describing somatic genetic alterations in cancers. John worked on copy-number analysis of human prostate cancer as a research technician with Rameen, during Rameen’s postdoc. He is currently a clinical fellow in pediatric hematology/oncology at Boston Children’s Hospital and postdoctoral fellow with Todd Golub at the Broad Institute. Rebecca worked as a technician in the Beroukhim Lab for two years on CYCLOPS vulnerabilities and on small molecule profiling of gliomas. Rebecca went to college at the University of Massachusetts, Amherst, and is currently a graduate student and NSA Fellow in the Koshland Lab at the University of California, Berkeley. Laura received her BA from the College of the Holy Cross. After graduating, she worked in the Beroukhim Lab as a technician for two years, primarily focused on CYCLOPS vulnerabilities in breast cancers and leukemias. She is currently an MD-PhD student at the University of Connecticut. Barbara received her BA and MS from Brandeis University, and her PhD from Brown University, all in Mathematics. 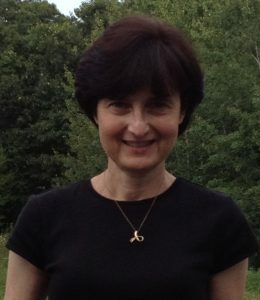 In the Beroukhim Lab, Barbara developed computational tools to detect copy-number alterations in cancers. 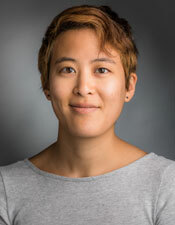 After leaving the laboratory, she went on to develop algorithms to understand chromatin interactions at the University of Massachusetts Medical School as a Research Assistant Professor. Emily graduated from Williams College before working in the Beroukhim Lab as a technician for one year. She went on to obtain her MD at the Sackler School of Medicine and is completing residency training in physical medicine and rehabilitation. Shyemaa worked as a technician in the Beroukhim Lab for two years before becoming licensed as a nurse practitioner. She now practices in New York.